The Yahoo/Microsoft/Google quagmire hasn’t stopped Google from separating out their geospatial blog from their search blog. The Y! Geo blog has started up today and possibly points to Yahoo! pushing more of the geospatial technology out. In addition they’ve announced their Yahoo! Internet Location is now called Yahoo! GeoPlanet. The Y! Geo blog seems to be written in marketing speak, but hopefully that will change as time goes on. 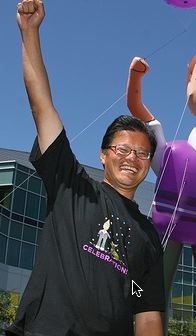 Jerry Yang is ecstatic at the idea of GeoYahoo!